Clayton Geathers (26), Jared Henry (22) and the UCF defense will have their hands full when they try to slow down the nation's top-scoring offense in Baylor in the Fiesta Bowl. SCOTTSDALE, Ariz. (AP) — Central Florida mostly contained Louisville’s Teddy Bridgewater, faced the pass-happy offenses in Conference USA last season, dealt with the up-tempo chaos of June Jones’ SMU Mustangs. The Knights have never seen anything like what they’ll face in the Fiesta Bowl on New Year’s Day. Waiting for them in the desert is No. 6 Baylor, a team that plays as though it’s stuck on fast forward and this season piled up more yards than every team but one in FBS history. Monster is a good way to describe it, at least to the teams who have tried getting in the Bears’ way. 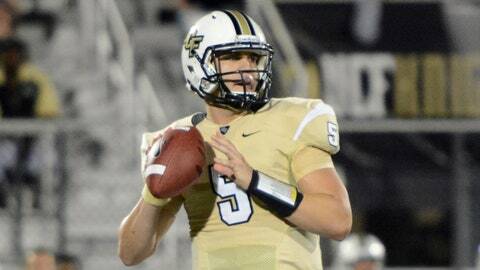 As the Fiesta Bowl looms, so too does a big decision for UCF quarterback Blake Bortles. Perhaps the closest thing Central Florida (11-1) saw to Baylor this season was South Carolina, which averaged 170 fewer yards and nearly 20 fewer points. The Knights lost to the Gamecocks 28-25 on Sept. 28. "They have a very explosive offense," Central Florida coach George O’Leary said. "I don’t think anybody is going to stop them. I think you have to slow them down and get off the field. That’s the big thing when you play Baylor." With most high-scoring, yards-amassing teams, the focal part of the offense is usually a strong passing or running game. Find a way to stop that one aspect and you’ll have a pretty good shot at beating them. 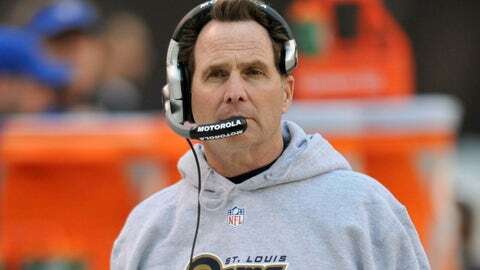 UCF will add NFL assistant Paul Ferraro as its defensive coordinator in 2014. "The thing is, they’re such a fast-paced team, but they’re a fast-paced team with a running game and you don’t see that nowadays because everyone wants to pass the ball," Plummer said. "They’re so well-tempoed, so well-paced and that’s the challenge, trying to get lined up, trying to make plays in the open field because they’re so fast in what they do. We just have to focus as a team and make sure we know our assignments." Between Baylor’s proclivity for putting up big numbers and Central Florida’s rise from a smaller conference — well, at least one not the size and stature of the Big 12 — the Knights are decided underdogs. But the Knights aren’t exactly slouches on the defensive side of the ball. The Knights are positionally sound, rarely miss assignments and have a defensive-minded coach in O’Leary. "They do a great job schematically defensively," Briles said. "They don’t get themselves out of position with alignment. They’re productive in how they approach the game. We’re just playing a well-coached football team." Are they good enough to slow down the Bears? We’ll find out on New Year’s Day.